I've been doing lots of work on WildLog over the past couple of months and I think (hope) version 4.1 is now ready to be released. 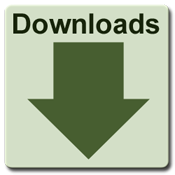 You can download the latest version of WildLog over here. There are plenty of new features and improvements in this version. Most notably is that the tables can now show small thumbnails. This makes is a lot more enjoyable to use and provide visual clues to navigate a large data set faster and more accurately. 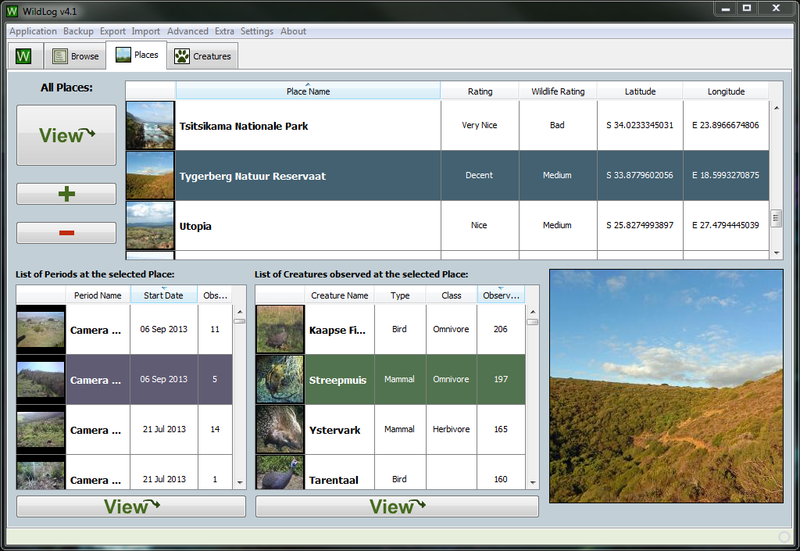 There are a couple of new features, such as adjusting the GPS or date/time for all Observations in a Period. I also tried to improve the performance of the application across the board. A lot of time has been spent on improving the exporting and importing functionality. It is now possible to export new Workspaces, based on a particular Period or Creature. You can also now import directly from another Workspace. 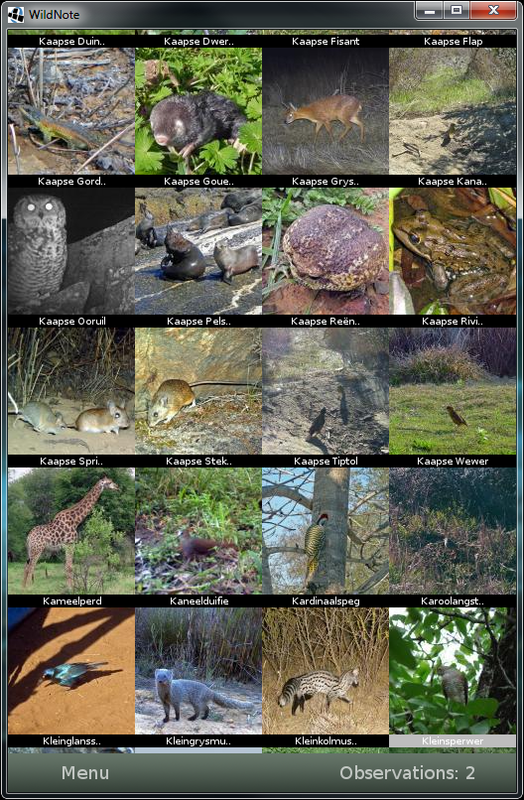 Another aspect I've been wanting to include also finally saw the light of day: You can now download sample Workspaces that have all the mammals or birds for the USA or South Africa already added. This should make it a lot easier to get started. Lastly, I've also decided to release WildNote. WildNote has been a very long time coming. In fact I've started working on it twice before, deciding to stop development because the underlying frameworks I tried didn't do a good job matching my requirements. But now I think I finally found something that work, so hopefully I'll be able to improve on it over time. WildNote runs on (my) Android devices, and enables my to capture the date, time, GPS and species at the touch of a finger. I used WildNote this past December to capture over 500 observations while on holiday. Something that would have been much more difficult if I had to use good old pen and paper. The idea is the export the observation from WildNote and then import them into WildLog. Mobile technology might be all the rage these days, but it is a very fast changing scene with lots of role players and platforms, making it "unwise" to invest too much time into something that will not be around in 5 years' time. Thus the idea was to get an application that did what I needed and didn't take too long to develop or maintain.